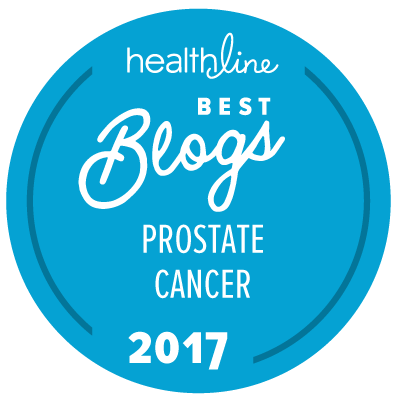 A new article in the upcoming December issue of the Journal of Urology has shown that, for men with higher risk prostate cancers, tumors found in the transition zone of the prostate are less “risky” than the same types of cancer when they occur in the peripheral and central zones. Teloken et al. carried out a re-analysis of tissue samples and data from > 8,700 men with prostate cancer treated by radical prostatectomy as first-line therapy in Western Australia between 1998 and 2016. 7,051/8,789 patients (80.2 percent) met pre-specified criteria for inclusion in the study. The average (median) follow-up of the 7,051 patients was 32.1 months (range, 0.7 to 205.6 months). 42/273 men with cancer originating in their transition zone (15.4 percent) had biochemically recurrent disease during follow-up. 626/2,404 men with cancer originating in their peripheral or central zones (26.0 percent) had biochemically recurrent disease during follow-up. 75/1099 men with cancer originating in their transition zone (6.8 percent) had biochemically recurrent disease during follow-up. 199/3,275 men with cancer originating in their peripheral or central zones (6.1 percent) had biochemically recurrent disease during follow-up. The finding of a higher grade form of prostate cancer in a patient’s transitional zone was associated with a lower risk for prostate cancer recurrence over the follow-up period than the finding of a similar cancer in the peripheral zones of his prostate. If a patient had lower grade forms of prostate cancer, it didn’t seem to make any significant difference where it was located to his risk for biochemical recurrence; he had good biochemical recurrence-free survival regardless. We still don’t know why higher-risk tumors of transition zone origin are apparently somewhat less aggressive than higher risk tumors of peripheral and central zone origin, but this is certainly the largest study to date to confirm this long-held suspicion. On the other hand, the median follow-up period for these 7,000+ patients was relatively short at just 32.1 months. One might reasonably feel much more confident in these data if the patients had been followed for something like 10 years as opposed to < 3 years on average. There appears to be a typo in this summary. In the higher risk category should be 4 + 3 not 3 + 4. It would be helpful if these zones were identified and explained! Don S: Thank you. Correct. Fixed. Further suspected typo: “The finding of a higher grade form of prostate cancer in a patient’s peripheral zones was associated with a lower risk for prostate cancer recurrence over the follow-up period than the finding of a similar cancer in the transition zone of his prostate” should be “The finding of a higher grade form of prostate cancer in a patient’s transitional zone was associated with a lower risk for prostate cancer recurrence over the follow-up period than the finding of a similar cancer in the peripheral or central zones of his prostate”, no? Dear SUM: Correct … will be modified in a sec. Frankly this was a very confusing paper to try to make heads and tails of! As I understand it, the transitional zone is the area immediately surrounding the prostate but excludes for example the seminal vesicles, correct? It would seem that extracapsular extension and related positive margin(s) would lie in the transition zone where recurrence was less probable, but SVI would have a higher probability of recurrence, no? This describes my case exactly and I believe that nomograms validate that SVI confers higher risk of recurrence than ECE or positive margins. No. Look at the diagram provided. The transitional zone is an area within the prostate that immediately surrounds parts of the urethra (and it is surrounded by the peripheral zones). It is the central zone that is up close to where the seminal vesicles are linked to the prostate. Extracapsular extension and positive margins are invariably associated with the peripheral zone. Seminal vesicle invasion is one of the factors that can confer higher risk of recurrence, but the degree of risk would also depend on the Gleason score of the cancer, the stage, and the patient’s PSA level.